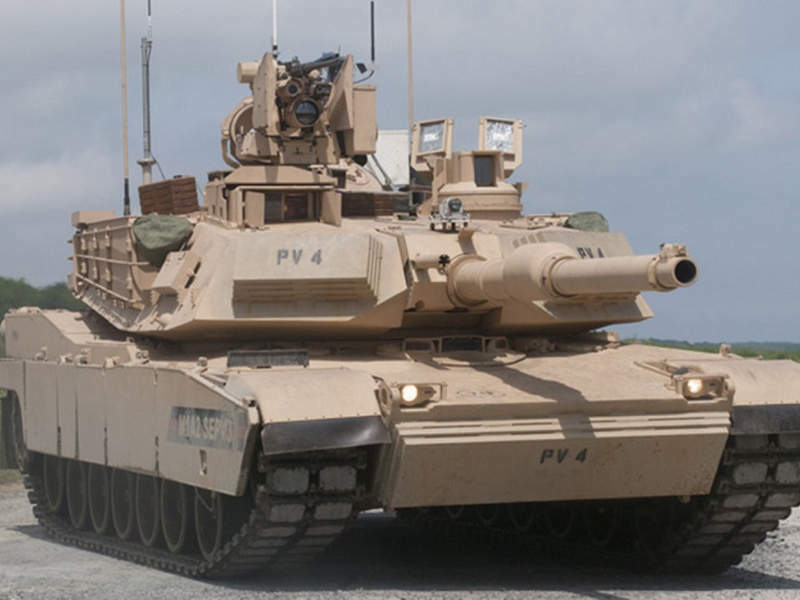 Abrams M1A2 SEPV3 (System Enhanced Package) is the latest upgraded version of the Abrams main battle tank. Image courtesy of U.S. Army. An M1A2 SEPV3 tank performing live-fire demonstration at Aberdeen Providing Ground. Image courtesy of U.S. Army. The tank is armed with a M256 120mm smoothbore cannon. Image courtesy of General Dynamics Land Systems. Abrams M1A2 SEPV3 (System Enhanced Package) is a modernised configuration of the Abrams main battle tank (MBT) in service with the US Army. The new version offers enhanced protection and survivability, as well as high lethality than its predecessors. The US Army TACOM Lifecycle Management Command placed an order worth $92.2m with General Dynamics Land Systems to upgrade its M1A2 SEPV2 Abrams tanks to the M1A2 SEPV3 configuration, in December 2015. 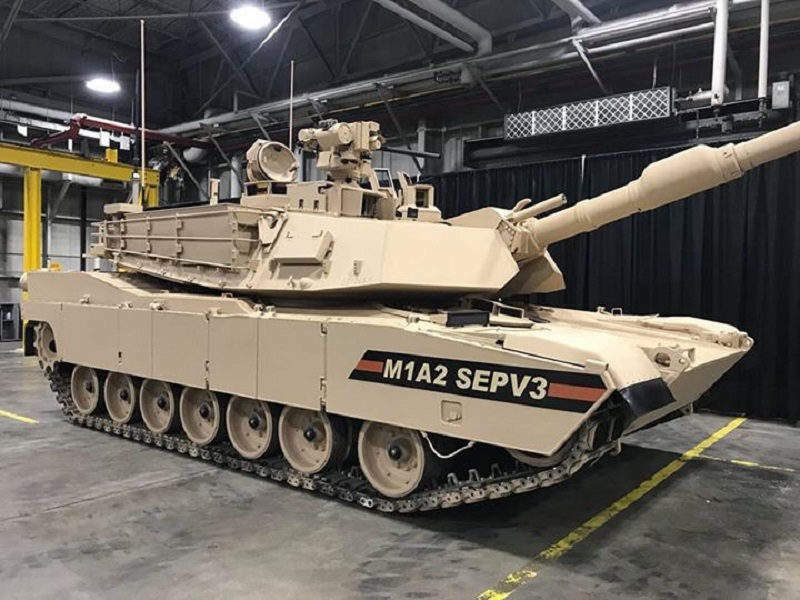 The first Abrams M1A2 SEPV3 initial production vehicle was delivered to the US Army in October 2017. General Dynamics Land Systems also received a $270m contract from the US Army Tank Automotive Command to manufacture 45 Abrams M1A2 SEPv3 tanks, in October 2017. The M1A2 SEP V3 retains the layout of the M1A2 MBT with the driver’s cab at the forward centre hull, turret in the middle and power-pack at the rear. The tank integrates the line-replaceable module technology to enable easy maintenance of the fleet. The tank integrates joint tactical radio system (JTRS) handheld, man-pack, and small form fit radio to ensure network readiness and interoperation with future brigade combat teams (BCTs). The MBT measures 9.7m-long, 3.7m-wide and 2.4m-high, and is manned by a crew of four, including a driver, a commander, a loader and a gunner. The main gun fitted on the MBT is a M256 120mm smoothbore cannon, which can fire M829A4 advanced kinetic energy and advanced multi-purpose (AMP) rounds to defend armoured vehicles, personnel and low-flying aircraft. The tank features a low-profile (LP) common remotely operated weapon system (CROWS) installed with a 12.7mm machine gun. A 7.62mm M240 machine gun is also mounted coaxially with the main gun. The tank will be fitted with improved forward-looking infrared (IFLIR) to detect targets. The IFLIR employs long and mid-wave infrared technology to enhance target acquisition, identification and engagement compared to the existing second-generation FLIR. The CROWS will be equipped with an upgraded day camera that uses picture-in-picture technology to combine different FOVs. It offers a 340% larger scene in wide FOV. The ammunition data link (ADL) aboard the tank ensures the programming of the M829A4 and AMP rounds. The hull and turret integrate a new armour package for superior protection against threats from improvised explosive device (IEDs). The tank can be hinged with reactive armour and slat armour. The CREW Duke V3 counter remote-controlled IED (RCIED) electronic warfare system protects the crew from road-side bombs and IED attacks. Either side of the turret is fitted with M250 six-barrelled smoke grenade dischargers. A smoke screen can also be laid by an engine-operated system. The M1A2 SEP V3 is powered by a Honeywell AGT1500 gas turbine engine, which develops a power of 1,500hp. The auxiliary power unit under the armour enables the tank to operate on-board systems with a reduced probability of detection during silent watch operations. The generator allows for the turret operation without the power from main engine when the vehicle is in stationary position, resulting in improved fuel efficiency. The tank is also equipped with advanced power generation and distribution systems such as an improved amperage alternator, a slip ring, enhanced hull power distribution unit / common remote switching modules, and a battery monitoring system. The running gear includes seven road wheels with a drive sprocket at the rear, idler at the front and two return rollers on either side. The first, second and seventh road wheel stations are fitted with rotary shock-absorbers.